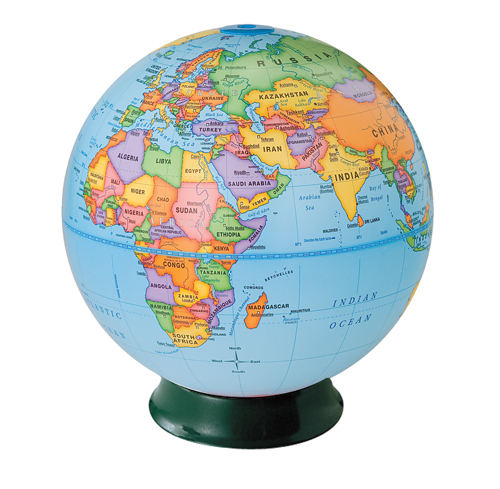 The 9 inch First Globe is edited for beginners with simplified content. Countries shown in bright primary colors. Large type used for easy readability.